Welcome to the new WSU Mount Vernon newsletter! It’s been a while, but we have re-tooled our approach to bring timely announcements and information to partners and supporters of the Research & Extension Center. We have built a modern email subscription system for the newsletter and additional announcements, so please subscribe at mtvernon.wsu.edu/news/nwrec-newsletters/subscribe. It has been an incredibly busy few months at the Center recently. On December 6, 2016 many of you joined WSU President Kirk Schulz and Mount Vernon faculty, staff, and students to celebrate the 10th Anniversary of the Revitalized WSU Mount Vernon Facility. There are a number of photos and a video from the event posted at mtvernon.wsu.edu/anniversary/. We also launched a new website platform in December with updated information on people, programs and activities at mtvernon.wsu.edu. We hosted around 170 guests for our Annual Field Day on July 13, where we featured the work of more than a dozen of our graduate students. At the Field Day, the faculty presented a new honor—“The 12th Cougar” Award—to John Roozen. John was recognized for his dedication, support, and commitment to our Center. The plaque is now proudly displayed in the lobby/auditorium and new awardees will be added each year. On July 26, President Kirk Schulz returned to the Skagit Valley to help us celebrate the Grand Opening of the WSU Bread Lab. 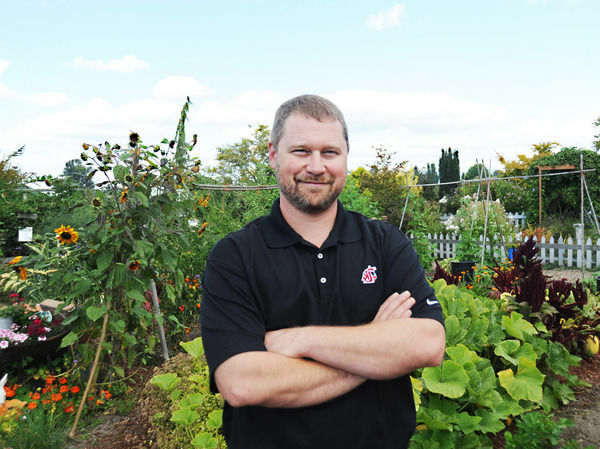 We were just notified that the Organic Major of the Ag & Food Systems (AFS) Degree Program has been approved by regional accreditation for delivery through the new WSU campus in Everett. In March, we hired a new Food Science faculty member, Bri Ewing, whose expertise is in Fermentation. She is teaching and managing the Cider School as well as serving as one of the core instructional faculty in the AFS Degree Program. We interviewed four candidates for our Soil Science position in September. The Soils position will have research and extension responsibilities in the region as well as teaching in the Everett program. 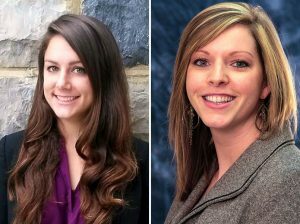 Briana Ewing (L) and Tatum Weed (R). There were two other significant announcements made in the spring and summer. As of May 1, College Leadership asked me to assume the Directorship of the Puyallup Research & Extension Center in addition to Mount Vernon and CSANR. This is a new model for leadership of the College’s investments on the West Side, with the goal of streamlining our coordination and impact. In this change, Tatum Weed (who has been Associate Director at Puyallup) becomes Associate Director of Mount Vernon as well to help me balance the administrative leadership work load. Please welcome Tatum when you meet her. Periodically, a future Hall of Fame athlete like Derek Jeter gives teammates and fans a special treat by announcing their retirement in advance of a final season. Announcing early gives everyone the opportunity to see, appreciate, and thank the great player one last time. In July, WSU Mount Vernon’s own Hall of Famer, Dr. Debbie Inglis, announced her plans for retirement at the end of 2018. Like a super-star athlete, Debbie recognized how important it would be to give former students, farmer-cooperators, collaborators, colleagues, and friends a final opportunity to connect with her as she transitions away from a Hall of Fame career to the next phase of her life (which includes Emeritus Faculty status!) while also ensuring a solid transitional plan for the Vegetable Pathology Program. In the coming months, we will describe more of the transitional plan for Veg Path, but I thought it was important in this moment to simply recognize greatness so each of you could share this great moment with her. Debbie—you have had an incredibly accomplished career, but more importantly, you are an amazing person. On August 15, Washington State University (WSU) celebrated the grand opening of the new WSU North Puget Sound at Everett (WSU NPSE) campus. The new building, located adjacent to Everett Community College, is equipped with state-of-the-art classroom technology, spacious laboratories, and collaborative study areas. The mission of WSU NPSE is to provide the North Puget Sound community with access to affordable educational opportunities which will help prepare students for successful careers. Using a 2+2 system where students will spend their first two years at a community college and finish their last two years at WSU NPSE. The 2+2 model allows students to pay lower tuition rates for the first half of their bachelor degrees and remain local for the second half of their degrees, resulting in a more affordable undergraduate degree program. In Spring 2018, WSU NPSE will begin offering the first major in the Agricultural and Food Systems degree program: Organic Agriculture Systems. As the first WSU undergraduate major focused on agriculture west of the Cascades, this degree will give students the opportunity to learn about the role of organic agriculture in Washington and beyond. Organic Agriculture Systems students at NPSE can expect the same curriculum and support offered at WSU in Pullman but with a western Washington focus. Students also will have expanded opportunities to fulfill the major’s internship requirements with organic food production companies and farms located in the North Puget Sound region. 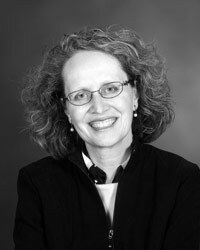 Several of our very own Mount Vernon NWREC faculty will be teaching courses in this major. For more information on WSU NPSE, please visit the WSU Everett website. More information on the Organic Agriculture Systems major can be found on the Agricultural and Food Systems website. Questions on the major and degree program at WSU NPSE can be sent to Bri Ewing, WSU Mount Vernon NWREC fermentation specialist, at bri.ewing@wsu.edu. 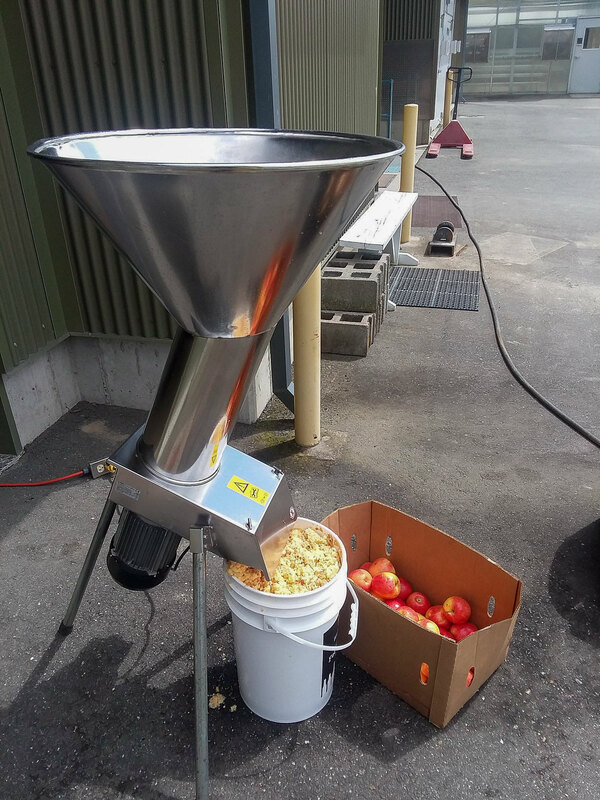 A fruit grinder processes apples at the Sensory Analysis of Fruit Wines and Ciders workshop (August 5, 2017). The WSU Mount Vernon NWREC hosted the first Sensory Analysis of Fruit Wines and Ciders workshop on August 5, 2017. The 12 attendees included alcoholic beverage industry professionals and community members. Participants learned the basics of fruit wine and cider production and had the opportunity to develop sensory skills through evaluation of seven fruit wines and five ciders. All fruit wines and ciders were generously provided by local wineries and cideries in the North Puget Sound. The next workshop hosted by the WSU Mount Vernon NWREC will be Cider & Perry Production – A Foundation. This week-long course will start on October 9th and will cover the science and production practices of cider and perry production. For more information on future courses, visit the Cider website or contact Bri Ewing, WSU Mount Vernon NWREC fermentation specialist, at bri.ewing@wsu.edu. Several times each semester our faculty, graduate students, and invited guest speakers present Brown Bag Seminars from 12:00 – 1:00 p.m. in the Sakuma Auditorium. Members of the public are welcome to attend and bring a sack lunch if they wish. Some of the seminars provide attendees with Pesticide License Recertification credits. 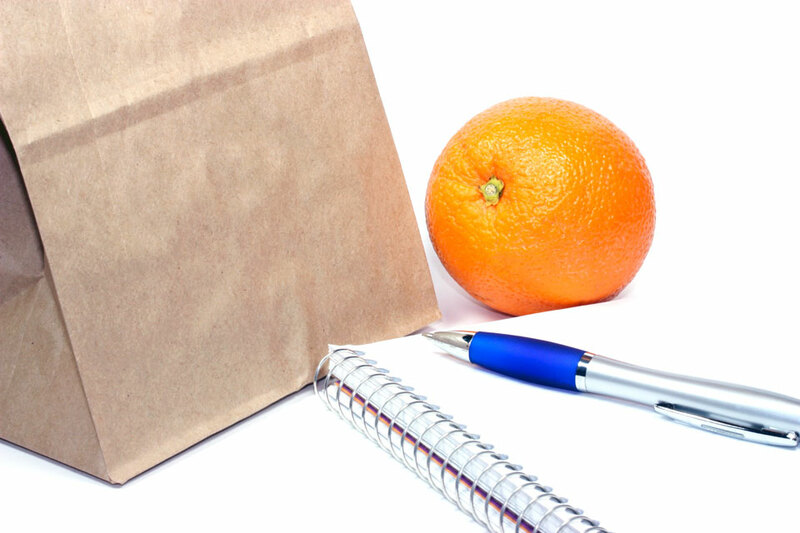 For a complete listing of upcoming Brown Bag Seminars, visit our events website. Four final candidates for the new WSU Mount Vernon Soil Quality and Sustainable Soil Management faculty position, which will be part of the teaching core for the Ag & Food Systems Degree Program at WSU NPSE and responsible for implementing a soil quality research and extension program, interviewed in early September. As part of the process, each candidate presented a seminar at WSU Mount Vernon NWREC and a reception followed. We hope to be able to announce good news soon, and will be holding an open house meet-and-greet when the successful candidate arrives. Participants attend the grand opening of the new WSU Bread Lab at the Port of Skagit (July 26, 2017). 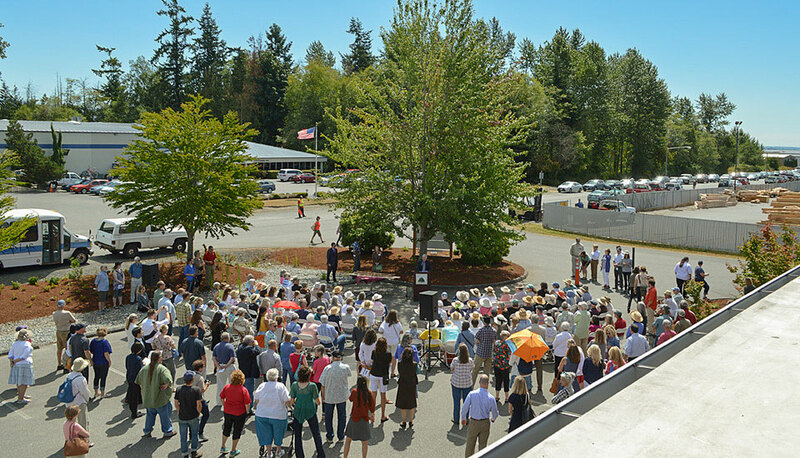 On July 26, 2017, over 400 people came together to celebrate The Bread Lab’s grand opening at the Port of Skagit. WSU President Kirk Schulz, CAHNRS Dean Ron Mittelhammer, Port of Skagit Executive Director Patsy Botsford-Martin, and The Bread Lab Director Steve Jones joined together in a symbolic bread breaking ceremony representing the importance of partnerships in advancing science and being of service to our local and global communities. In one of the oldest ceremonial traditions—which has always embodied the spirit of partnership, community, and shared success—attendees witnessed the breaking of a six-foot-long baguette that was baked onsite the morning of the event. In this new 12,000-square-foot-home at the Port of Skagit, the Bread Lab will continue to advance whole grains as an essential element for nutritious diets in our communities. The laboratory portion of the facility was completed last year and the milling room and commercial kitchen were finished a few weeks ago. The facility also houses King Arthur Flour, which offers baking classes to the public. Bread in some form or another has been the principle food in most cultures for ages. This ancient craft is not only deeply rooted in human history, but also serves to demonstrate Washington State University’s land-grant heritage and tradition of service to others. Through creative research and community engagement, The Bread Lab is committed to developing flavorful and nutritious crop varieties, rebuilding local grain economies, and innovating partnerships between community and industry. To learn more about The Bread Lab visit their website.